Workstation Review: Power and Portability - Eurocom gets it all right in its newest notebook computer, the P150H Racer mobile workstation. Eurocom continues to build some of the world’s most powerful portable computers. Last year, the Canadian company sent us several impressive models that set new performance records—albeit with impressive price tags to match. A year later, Eurocom is back with a system it claims as the world’s first 15.6-in. 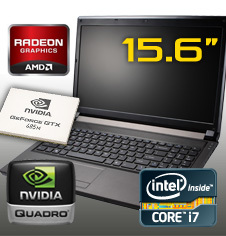 notebook with a 100-watt GPU. While that higher power consumption is sure to reduce battery life, the result is a mobile workstation that once again raises the benchmark bar, while at the same time lowering the cost. The Eurocom Racer, while definitely designed as a desktop replacement, provides a balance of power and portability at a price that should appeal to engineers, designers and graphic professionals on the go. If you are looking for a powerful 15-inch gaming laptop then look no further than the Eurocom Racer. If you're looking for a 15-inch laptop that can deliver a gaming experience as good or better than larger PCs, then the Eurocom Racer might be just the notebook you need. The Eurocom Racer is an excellent example of the latest and greatest in custom gaming notebook technology in a 15-inch size. Yes, it's based on the same Clevo P150HM that is available from multiple resellers, but Eurocom offers an impressive range of configuration options that aren't available from every reseller. It's the optional extras that really separate one custom notebook from another. If you're in the market for a "bleeding edge" gaming laptop or the most powerful mobile workstation that money can buy then Clevo-based custom notebooks are often the solution. At the time of this writing, there are few 15-inch notebooks on the market that exceed the performance of the Clevo P150HM and the Eurocom Racer is certainly among the best configurations out there. EUROCOM Racer is a 15-inch desktop replacement gaming rig, featuring the world’s fastest mobile GPU, the AMD Radeon™ HD 6990M (optional) or the AMD Radeon™ HD 6970M GPU (optional).1 This high performance, high power gaming notebook is capable of more than its size suggests. EUROCOM Racer is a high end gaming notebook, fully configurable and customizable to your exact specifications. tom's raved about the portability and performance of the EUROCOM Racer with AMD Radeon HD 6990M graphics. Read on for the full story. Eurocom covers the Racer with a standard one-year parts-and-labor warranty, which also includes one year of toll-free support via phone. For an additional $295, you can bump the coverage up to three years. In addition to Windows 7 Home Premium and the THX TruStudio Pro software, the system comes with Protector Suite 2009 (fingerprint authentication and encryption software) and a Webcam app called BisonCap (a very simple AVI- and JPEG-capture utility). That's about it; the system is thankfully free of the usual avalanche of bloatware that accompanies many mainstream notebooks these days. 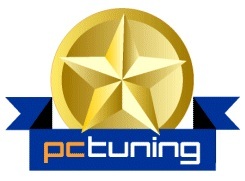 In our $1,634 test configuration, the Racer is not cheap, but considering its class-leading performance and robust feature set, it’s worth the extra dough and is actually more affordable than most other 15-inch gaming and workstation-level notebooks, including the $3,107 HP EliteBook 8540W and the MSI GT660R. If you demand the best performance and can live with short battery life and a merely ordinary design, put the Eurocom Racer at the top of your shopping list for now.